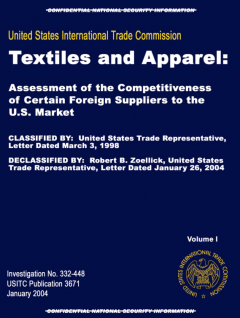 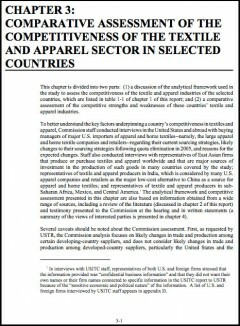 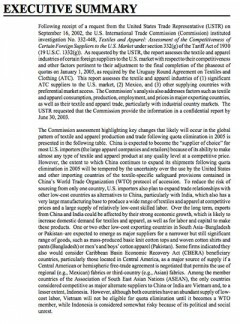 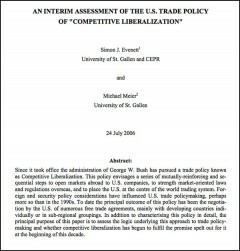 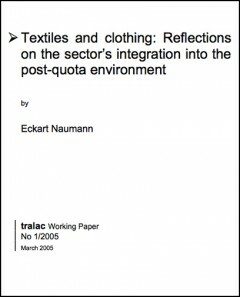 Chapter 3 of the recently de-classified report by the USITC ("Textiles and Apparel: Assessment of the Competitiveness of Certain Foreign Suppliers to the US Market"). 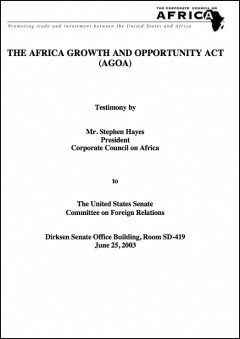 Transcript of testimony on AGOA by the president of the Corporate Council on Africa to the United States Senate Committee on Foreign Relations. 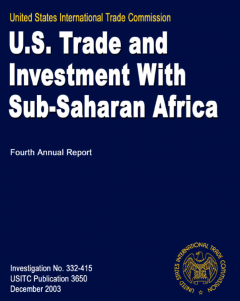 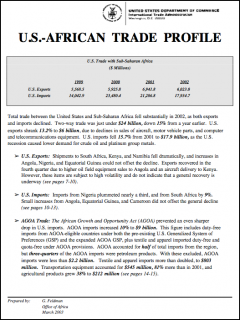 The second of of eight annual reports published by the Office of the US Trade Representative on Trade and Investment under AGOA. 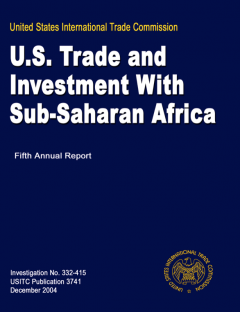 A brief report prepared by the US Department of Commerce, Office of Africa, on bilateral trade between the US and Africa. 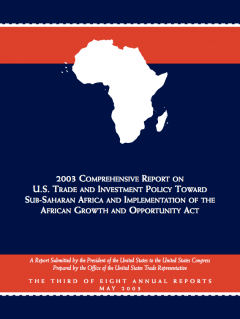 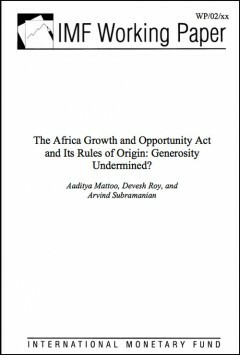 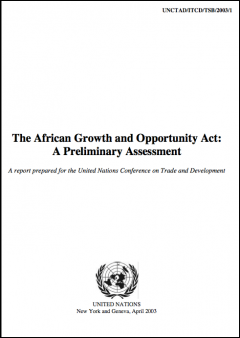 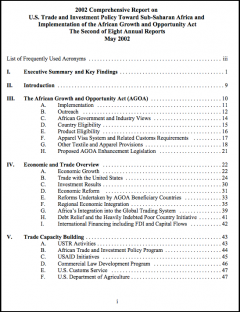 The African Growth and Opportunity Act (AGOA): Does it really present opportunities? 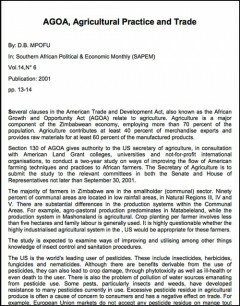 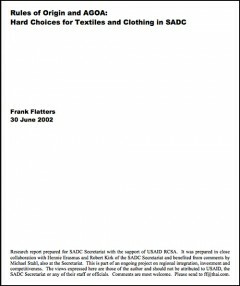 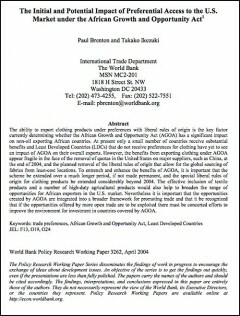 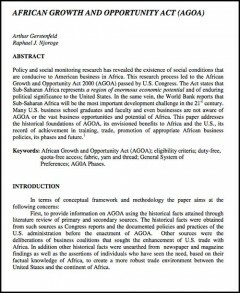 Short article on AGOA that was published in "The Southern African Economist", Vol 14, No6, pp 17-19, in 2001. 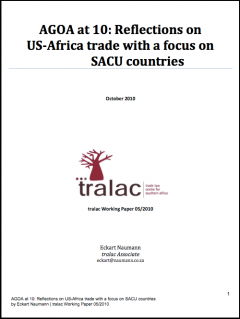 Article published in the Southern African Political & Economic Monthly (SAPEM). 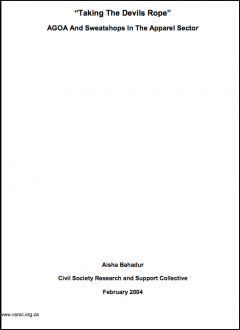 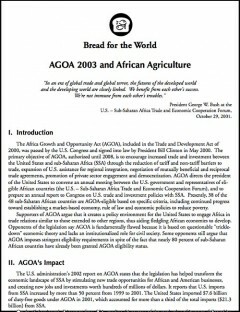 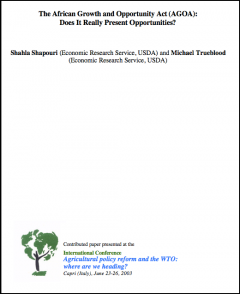 Report on the impact of AGOA by the Washington-based organisation 'Bread for the World'. 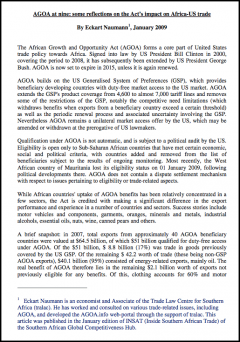 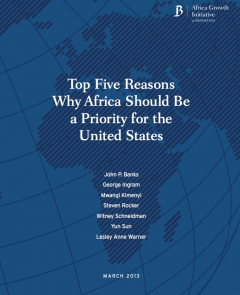 The report draws attention to some of the constraints and opportunities related to AGOA. 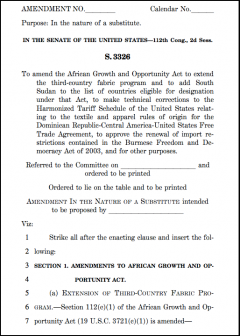 S3326, which was passed by the Senate on 2 August 2012, to extend the AGOA third country fabric provisions to 2015. 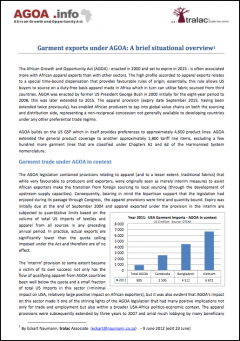 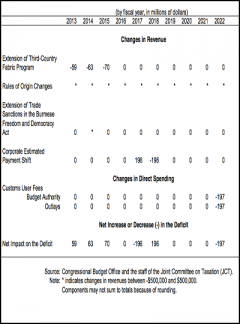 Details on the cost estimate of the AGOA fabric waiver extension, as prepared by the US Congressional Budget Office. 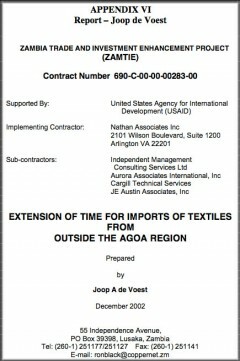 Text of the proposed Coburn amendment prior to passing of AGOA fabric extension on 2 August 2012. 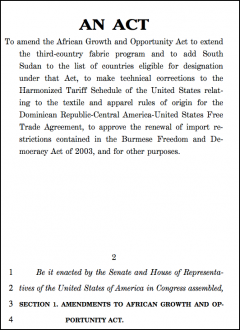 The proposed amendment was not passed (40:58 vote), which resulted in the passage of the AGOA third country fabric waiver provisions. 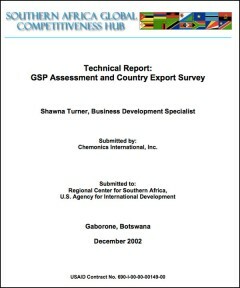 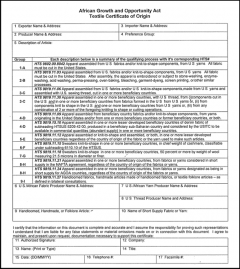 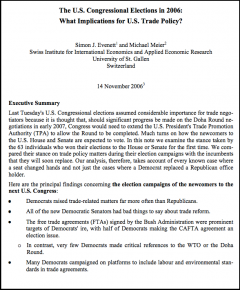 Legislation passed by the US Congress and signed into law to re-enact the US GSP and restrospectively apply the GSP preferences for 2011 since the former GSP expired in December 2010. 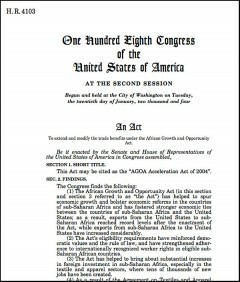 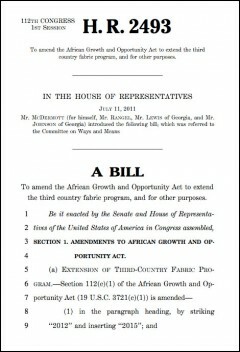 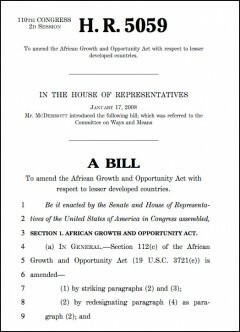 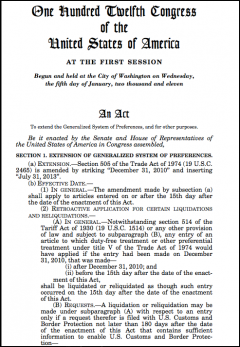 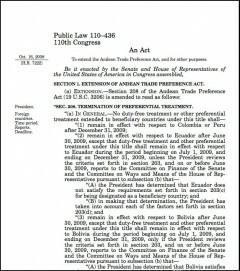 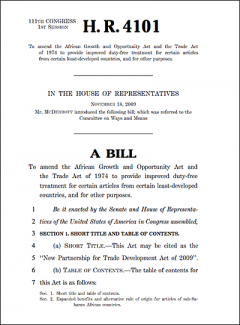 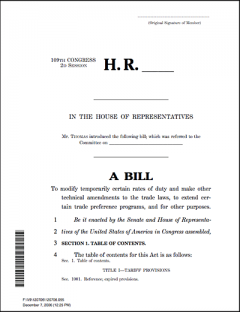 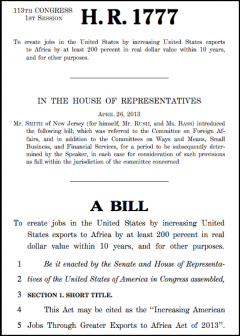 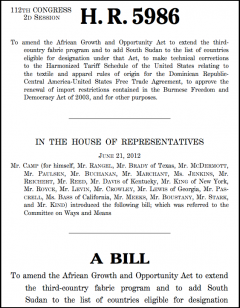 Proposed legislation to amend the African Growth and Opportunity Act to extend the third country fabric program from 2012 to 2015, and for other purposes. 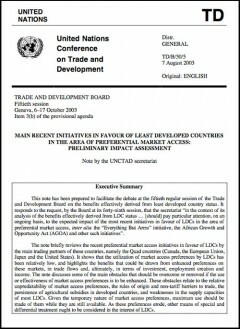 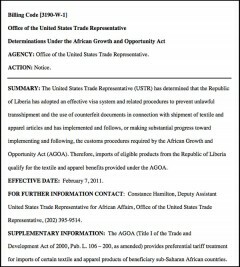 Legal text on the determination of Liberia as qualifying for textile preferences (including the third country provisions) under AGOA. 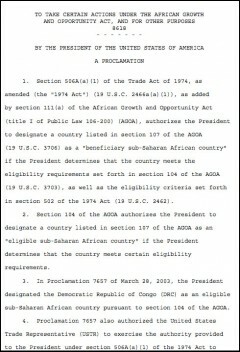 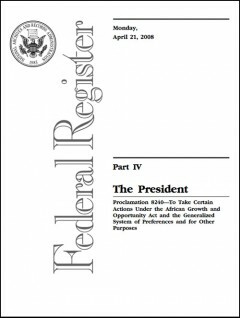 Presidential Proclamation published on 21 December 2010 removing the Democratic Republic of Congo's eligibility for AGOA preferences. 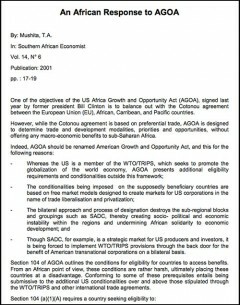 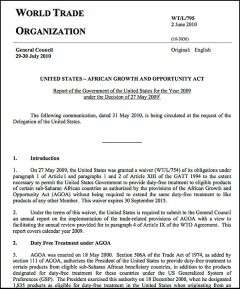 AGOA III - legislation known as "AGOA Acceleration Act of 2004". 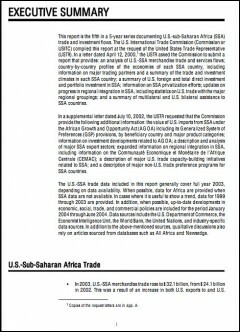 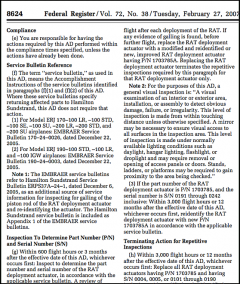 Abundant supply provisions published in the Federal Register of 27 February 2007, pertaining to AGOA IV.